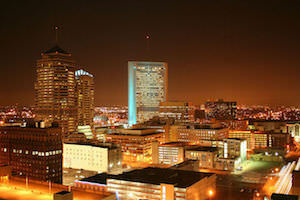 Columbus, Ohio is known as “The Biggest Small Town in America” for a reason. Not only does the city boast a low 3.9% unemployment rate (according to the Bureau of Labor Statistics as of August 2016), but it is also a hotbed for business development. Tech startups and retail establishments are showing amazing growth in the region; therefore, be prepared for competition if you’re leasing or buying commercial real estate in Columbus or Central Ohio. The City of Columbus may be named after the explorer, Christopher Columbus; however, new and innovative technology startup firms and small businesses are reshaping what “The Discovery City” really stands for. A recent study by the Kauffman Foundation – a nonprofit organization focused on advancing entrepreneurship and improving education for youth – reported that Columbus ranks fourth for small business growth among 40 of the largest cities in the country, overshadowing the likes of Boston and Dallas. How did Columbus become an incubator for small businesses and startups? One can point to Columbus’ dedication to funding startup companies, whether it is through nonprofit lending organizations or venture capital firms. One such VC firm is Rev1 Ventures (formerly TechColumbus), which helped the online apparel and home goods design company, Print Syndicate, secure $4.25 million in their initial capital raise. And, just a few months ago, Columbus won the “smart city” competition, produced by the U.S. Department of Transportation, which grants the city $50 million to transform its transportation system, focusing on driverless vehicles. This will only help to energize an already thriving tech sector in Columbus and spur further startups. Columbus REALTORS® released their Central Ohio Commercial Retail Report last month, which showed positive net absorption for the second quarter of 2016. What is positive net absorption? When demand outpaces supply for space, vacancies decrease through the rent, lease, or purchase of retail space. Now that you have that “nugget” of information, let it be noted that retailers are flocking to the Columbus region and it is not just “Big Box” firms. New retail storefronts include smaller “mom-and-pop” shops and a slew of “fast-casual” restaurants, such as Panera Bread, BiBiBop Asian Grill, and Piada Italian Street Food. When The Robert Weiler Company completed HighPoint on Columbus Commons toward the end of 2013 with over 22,000 square feet of retail space for rent, we realized that it was only the beginning of the retail boom. In June 2016, Tanger Outlets Columbus, at Interchange 71 near Sunbury, opened to huge crowds. This spurred The Robert Weiler Company’s push for the nearby NorthGate project, which will offer office space, homes, restaurants, hotels, and businesses. Stay tuned for more on that project. And, who can forget about the much-anticipated opening of IKEA in the summer of 2017? It may be less than a year away, but the project has been written about since as far back as 2015. Meet Us on High Street! With such a hot commercial real estate market, are you ready to take advantage of the burgeoning business landscape, here in Columbus? Need to lease office space, rent a retail location, or purchase an industrial warehouse? The Robert Weiler Company wants to welcome you to the community and assist you with all of your Columbus, Ohio commercial real estate requests. Visit our office on High Street in Downtown Columbus or pick up the phone and dial 614-221-4286 to speak with one of our experts. We can’t wait to welcome your business to the neighborhood.